This volume comprises a collection of papers prepared and presented at the World Bank's Fifth Urban Research Symposium, as part of the World Bank Group's strategy to share and encourage research oriented to urban issues and bridge these academic results with the pressing needs of developing cities. The selected papers included in this book combine robust analytical pieces and theoretical insights with best practices from around the world. 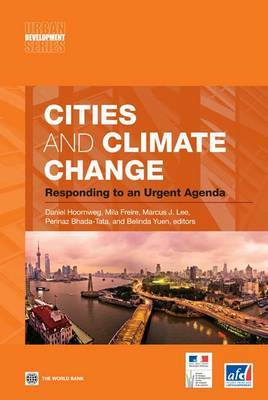 Specific case studies include New Orleans in the context of a fragile environment, a framework to include poverty aspects in the cities and climate change discussion, a contribution to measure the impact of cities and their GHG emissions. Cities and Climate Change is the first title in the World Bank's new Urban Development Series.The Series discusses the challenge of urbanization and what it will mean for developing countries in the decades ahead, and aims to delve more substantively into the core issues framed by the World Bank's 2009 Urban Strategy, Systems of Cities: Harnessing Urbanization for Growth and Poverty Alleviation.